Social media is winning over American sports fans, according to a recent survey of 1,000 adult American sports fans by the Perform sports media group. The results showed that 26 percent of U.S. sports fans have used social media channels to keep up with their favorite teams, leagues, and players in 2012, which is an 11 percent increase over findings from a similar study conducted last year. 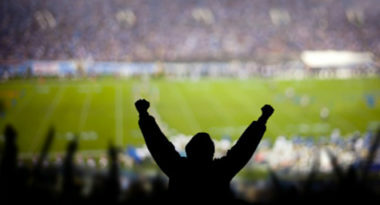 Mashable.com posted more on how more and more sports fans are using social media for sport. Some of the most surprising results were related to where sports fans follow social media. While Twitter had been the odds-on favorite, the study revealed that Facebook was preferred by 89 percent of fans, with YouTube the choice of 65 percent, Twitter used by 33 percent, and Google+ selected by 18 percent. In terms of the type of social content favored by fans, 51 percent of them used social media to follow their favorite sports teams and leagues, with 48 percent finding video of game highlights, 46 percent following certain players, and 35 percent seeking the latest news. The survey also showed that 22 percent of respondents have used their mobile devices to find the latest sports information in 2012, as opposed to only 13 percent of fans who used mobile means last year. The most active mobile users were fans aged 25 to 34, followed by fans aged 18 to 24. The 35 to 44-year-old respondents indicated the least mobile activity. Lastly, streaming video scored big with respondents with 45 percent streaming live sporting events and 90 of that group percent claiming to stream this coverage only from official feeds. Social media clearly has strong support from American sports fans. These results offer major incentive for sports-related brands to boost their social media presence in order to win over these sporty social consumers. At MDG, our 360° marketing approach uses just the right mix of traditional and online media to reach your sports marketing goals. While some industries may fare better on TV and others online, we strive to create a balanced approach where digital and traditional marketing efforts support each other and your message is tailored to the medium. To learn more about incorporating social media into your company’s online marketing strategy,contact MDG Advertising today at 561-338-7797 or visit mdgadvertising.com.